All steels are alloys of carbon and iron, but different steel products may vary either in their composition or in the process used to make them. Two kinds of steel you will encounter often are galvanized and cold-rolled steel. Each kind is prepared through a different process, and they have their own merits and applications. Galvanized steel offers enhanced corrosion resistance. Hot-dip galvanized (HDG) steel is often just called galvanized steel, although the full name is more correct. HDG steel products are prepared by plunging a steel product into a vat of molten zinc. A thin coat of zinc adheres to the steel part and is quickly oxidized by the surrounding atmosphere. Zinc has a much lower oxidation-reduction potential than iron, meaning it reacts with the oxygen in the air much more readily, so it protects the steel beneath and greatly extends its lifespan. Rolling is a process that shapes the steel to make it more suitable for its intended use. As its name implies, cold-rolling takes place at a temperature where the steel has already recrystallized, although it may still be quite warm relative to room temperature. In this process, steel passes between sets of rollers that squeeze it slightly to alter its shape. Depending on the type of rollers you choose and how they are arranged, you can produce shapes like cylinders, I-beams and sheets. Cold-rolling and galvanization are not mutually exclusive, and in fact cold-rolled steel can be galvanized. That's because cold-rolling is a technique for forming the steel, whereas HDG is a technique for treating it to protect it from corrosion. Galvanized steel generally has much better corrosion resistance, although it's less suitable for high-temperature conditions. 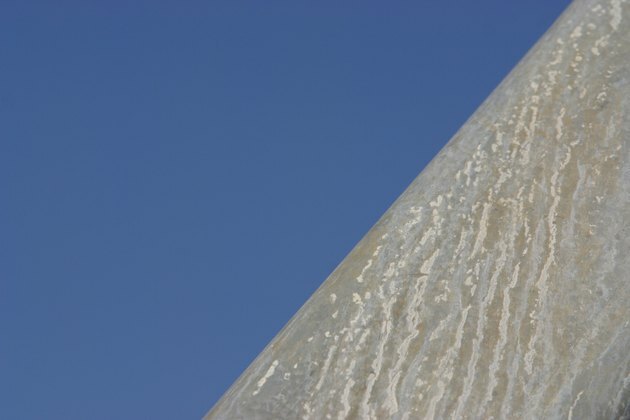 Although it can be damaged or scratched quite readily, the zinc layer will continue to provide corrosion protection despite damage to its surface. Although cold-rolled steel can be galvanized, products you buy that are made from galvanized steel may also have been formed through hot-rolling. Compared to cold-rolling, hot-rolled steel has higher yield strength and less grain deformation, because the cold-rolling squashes the steel so that the microscopic "grain structure" resembles an oval shape. Cold-rolled steel has superior directional strength, which is valuable for certain high-load applications. Cold-rolled steel also has a superior surface finish compared to hot-rolled steel.